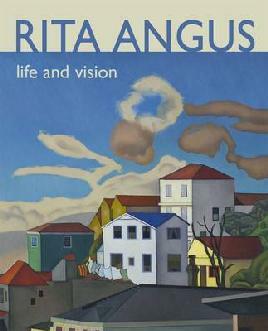 Rita Angus painted some of New Zealand’s most well-known images – including Cass, her famous 1936 rendering of a small town railway station. Originally from Hastings, Angus was always a keen student of art, and in 1927 she enrolled at Canterbury College School of Art for a four-year diploma in fine arts. Although she attended classes until 1933, she never completed the diploma. Instead she concentrated on painting and developing her own style. Apart from painting trips and occasional longer stays away she lived and worked in Christchurch until 1954. She was at the heart of the city’s lively art scene for a number of years, being a member of The Group. The Group was an informal art association formed in Christchurch in 1927. Its main purpose was to provide an alternative exhibition opportunity to the local Canterbury Society of Arts annual show. The Group exhibited annually in Christchurch from 1927 to 1977 and included well-known artists such as Colin McCahon, Doris Lusk and Toss Woollaston. As a student Angus lived in Bishop Julius Hall. After three years she moved out of the hostel and began flatting in the city. In 1930 she married Alfred Cook, an art student and commercial artist who later taught at the School of Art. She and Alfred lived with members of his family at 120 Ferry Road. Angus taught art part-time at Selwyn House, the girls’ preparatory school. She separated from her husband in 1934 and worked as an illustrator for The Press junior pages, living in a tiny studio in Chancery Lane. In 1936 she quit The Press and went to work for Ballantynes as a fashion illustrator. She continued this job until April 1938. Always her focus was on her art and she saw herself as a full-time artist. Further financial support came from her family and from the sale of her work. In November 1936 she took a studio flat at 97a Cambridge Terrace. The house, now gone, was owned by the artist Sydney Thompson who had converted it into artists’ studios with skylights to provide good natural light. At 97a she was at the centre of a lively social scene of notable artists and writers - Leo Bensemann and Lawrence Baigent were neighbours at 97b and among her friends were Olivia Spencer Bower, Louise Henderson, Denis Glover, Allan and Betty Curnow and later Douglas Lilburn who became her lover and was a life-long friend and patron. Cass (1936) was the result of a sketching trip to Arthur’s Pass, and was exhibited in 1940 as part of the National Centennial Exhibition of New Zealand Art. Angus had strong pacifist views and sought to avoid any kind of war work. She left the flat in Cambridge Terrace in 1939 and made various trips around the country fruit picking, painting and staying with friends. Her focus was always on her work as an artist. Eventually in 1944 she appeared before the Industrial Manpower Appeal Committee at the Magistrate’s Court where her case was dismissed and she was ordered to report for work. She continued to refuse and in July 1945 she was back in court emphasising her pacifist beliefs and her devotion to the life of a full time painter. She was fined one pound (the fine could have been as high as fifty pounds). As well as exhibiting with The Group, she held two solo exhibitions in 1946 – the first at the Student Union tearooms at Canterbury University College and the second at the Coffee Pot in New Regent Street, which was a regular haunt of local artists and a place to hang their works. 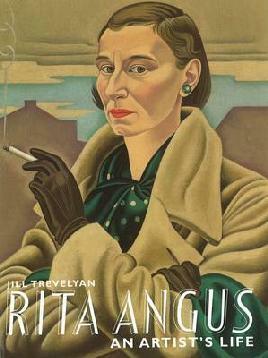 Up to now she had been signing her work Rita Cook but in 1947 she began to sign as Rita Angus. In 1949 she took a keen interest in the controversy over the rejection by the McDougall Art Gallery of the work of Frances Hodgkins and donated 12 guineas towards the purchase of The Pleasure Garden. In 1943 her father, concerned at her hand to mouth existence, purchased a cottage for her at 18 Aranoni Track on Clifton Hill above Sumner. This was her base in Christchurch until she left the city permanently in 1954. The cottage had been built in the late 1930s by the architect Paul Pascoe for his own use. It had a simple modernist design with a low pitched flat roof, big windows and a sunny terrace making the most of the ocean views. Rita became less sociable living at Sumner although she still welcomed family and close friends. She met and was impressed by the reclusive local artist Sydney Smith. At the end of 1949 she suffered a breakdown in her health and spent some months in Sunnyside Hospital. She then went to stay with her parents at Waikanae for some time before returning to Christchurch. Her remaining time in the city was interrupted by trips to Northland, Wellington and Central Otago. Eventually she decided to move to a warmer climate, going first to Mangonui in Northland and then settling in Wellington for the remainder of her life. Some of her finest portraits, including ‘Sun goddess’ (1949) and ‘Rutu’ (1951) date from this time in her life. Angus travelled and painted until 1955, when she bought an old cottage at 194A Sydney Street West in Thorndon, Wellington. In 1957 she had her first solo exhibition, and the following year she was able to spend time in London and St Ives courtesy of a New Zealand Art Societies’ fellowship. In later life she concentrated her painting on Wellington landscapes particularly Thorndon and Island Bay, and completed more of her 55 self-portraits. She also painted experimental and abstract works. Angus was admitted to Wellington Hospital with ovarian cancer in November 1969, and died on 25 January 1970. Her cottage in Sydney Street is now used for the Rita Angus Residency - a programme for artists. Three of Rita Angus’s works were in the Canterbury Public Library Art Collection, donated to the Robert McDougall Art Gallery in 2001. The links below will display images in the art gallery online catalogue. In this watercolour Angus has simplified the forms into geometric planes and given each area of the composition equal emphasis. This shows another influence on her work, that of the French artist Paul Cézanne (1839-1906), to whom elements of design and composition were of prime importance. Rita Angus was born in the Hawke’s Bay town of Hastings and returned to the region regularly throughout her career. In this watercolour she has painted the bare, blu-grey headland known as Cape Kidnappers, which lies at the southern end of Hawke Bay. 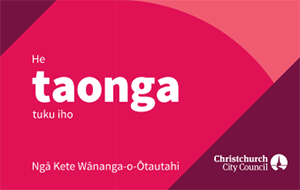 Read more about the Christchurch City Libraries art collection or view all of Rita Angus’s work held in the Christchurch Art Gallery catalogue. Rita Angus: Life and Vision The Te Papa website features, downloadable audio and zoomifiable images. The Selling of Rita by Warren Feeney, Press, The; 16 July 2008, pD1 accessed 17 March 2009 in the EBSCO Host Australia / New Zealand Reference Centre Plus. Access this with your library card number and PIN, or at our libraries. HANTON Jamie. (2009, March 11). A compelling portrait of the artist’s life. The Press, D.3. Retrieved March 16, 2009, from Australia & New Zealand Newsstream database. (Document ID: 1659078431).Access this with your library card number and PIN, or at our libraries. Learn more about the library art collection in our digitised publication Library Treasures: New Zealand Art Works from the Canterbury Public Library C.S.A. Gallery, 9th February - 5th March 1989.